The University of Toledo Medical Center is launching a new partnership with mental health boards throughout northwest Ohio to create a better model of care for adolescents dealing with particularly challenging mental health issues. Through service agreements with the Mental Health & Recovery Services Board of Lucas County and 10 other boards representing 22 additional Ohio counties, UTMC will be able to provide longer, more intensive inpatient care for patients between the ages of 13 and 18. The longer stay will enable clinicians to dig deeper into the root causes of the adolescents’ mental health issues and establish a more coordinated long-term treatment plan to address the problem of patients repeatedly going in and out of inpatient treatment without advancement. In many cases, insurers will only cover a few days of inpatient treatment. While that can be enough time to stabilize many patients in crisis, some patients need a more in-depth psychiatric and medical examination, monitoring of new medications, and coordination of continuing outpatient treatment, McCullumsmith said. Under the new service agreements, the boards will pay for days not covered by insurance, allowing UTMC to treat adolescents for longer stays as needed. The initiative will focus primarily on adolescents who have had multiple inpatient hospitalizations during the last year, have difficult to establish diagnoses, or who have challenges with medication. 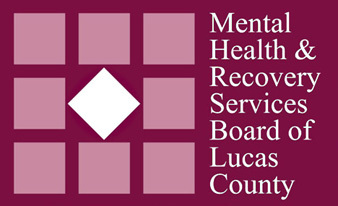 The Mental Health & Recovery Services Board of Lucas County, along with other partner boards across northwest Ohio, will refer patients into the program. Founded in 1968, UTMC Child and Adolescent Psychiatry was northwest Ohio’s first hospital devoted to treating the emotional and behavioral needs of children and teens. Today, the center has an inpatient facility and outpatient mental health services. This entry was posted on Wednesday, January 23rd, 2019 at 3:02 am and is filed under Medicine and Life Sciences, News, UTMC, UToday .